Dr. Joy Egbunike Chike-Obi is from Onitsha, Anambra State, Nigeria. She holds a Ph.D. in Mass Communication from Howard University. Dr. Joy Egbunike serves as the OutReach/Public Relations Officer for ASA Women USA. 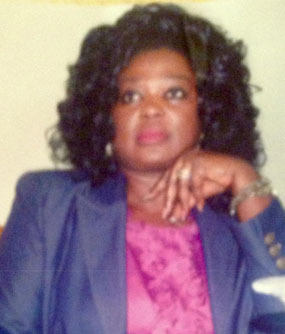 She is an Educator, a Visionary, a Servant leader and Trail blazer; she has served on many Community committees, including but not limited to serving as the first female President of Onitsha Ado National Improvement Union, a Nigerian Organization based in USA, with over fifteen Chapters in the USA and membership of one thousand one hundred and seventeen members; and Co-Founder, Ikporo Onitsha (Women) USA. She served as the USA Women Leader for All Nigerians in Diaspora (ANNID). Board Member Nigerians in Diaspora Organization, America (NIDOA), Financial Secretary, ASA Women Houston, Secretary ANASCO Houston. Dr. Joy Egbunike serves as Director on the Boards of the following Organizations: Global Trade Winds Development and JAS Group of Companies, International. Dr. Egbunike is a proven effective leader, who is enthusiastic, personable, and professional in appearance and manners. She is a self-motivated, dependable, creative and conscientious individual, who is willing to assume responsibilities.